Speedwell (Veronica spp. ): growing, planting, caring. Several Veronica species and cultivars are cultivated for use as ground cover. Scientific name : Veronica spp. Full description for Veronica spp. not yet available. Veronica, of the genus Veronica, comprises 250 species. Their common point are lanceolate or oblong leaves, rounded, linear, broad, organized in opposite pairs, on the flower stalks. They are sometimes alternate or whorled. The flowers are in clusters or ears, in short tubes with 4 petals. Plant preferably in the fall - it can be done in the spring. Choose a luminous location in moderately fertile, moderately heavy, cool and well-drained soils for massive veronica. The alpine or rock veronicas prefer draining soil, poor or not very fertile, in full sun. Prepare the soil by the classic digging, scratching, plant anticipating the development of the adult plant in width, which usually reaches between 45 and 60 cm. Water,mulch. Water during the first month after planting, if it is dry. Mulch once or twice a year, in November and April, with crushed wood or leaves. 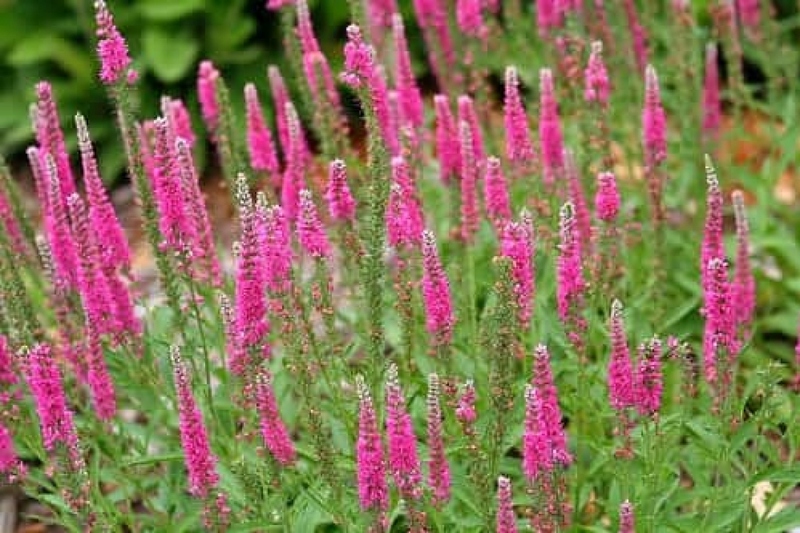 For perennials, divide the clumps with a spade in the fall or spring. Otherwise, collect seeds after flowering, which you will sow in pots under frame in the fall. After germination, in the spring, transplant them in pots and wait until fall to transplant them.